New book, 144 pages. A practical illustrated guide to making scale model tug boats, offering information and guidance in line with the very latest developments in tug technology and design, and modern advances in model building. 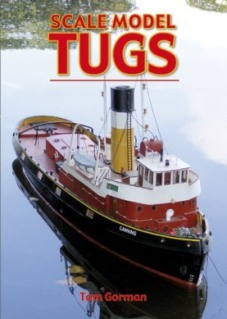 The first six chapters are devoted to tugs in general, arranged by the duties for which each type of tug is designed. Subsequent chapters cover the details of scale modelling.